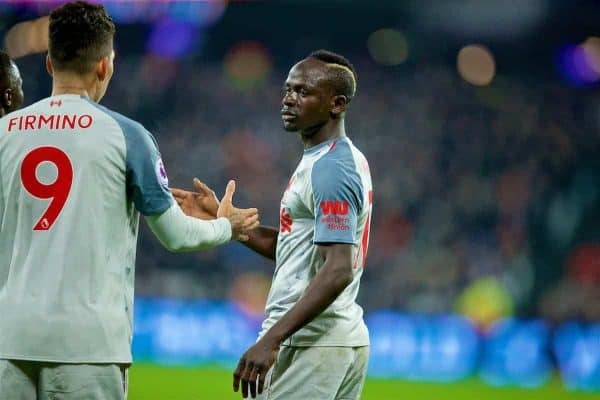 Sadio Mane finds himself in excellent form despite Liverpool’s struggles of late, and he could be key as they aim to return to winning ways against Bournemouth. Liverpool have won the last three home and away encounters with Bournemouth, scoring 11 times without conceding. This will be the 15th meeting of the teams in league and cup, with the Reds winning 10, drawing three and losing once. In those games they have scored 34 times and conceded 11. At Anfield, the teams have met on six occasions in all competitions, with the Reds winning five and drawing the other. Liverpool will be looking to record a third league double over Eddie Howe’s men in four seasons. The only draw in seven league meetings came in April 2017 with Josh King grabbing an 87th-minute Anfield equaliser—the teams shared four goals that night. Liverpool have failed to score only once in the 14 previous meetings in all competitions—the goalless FA Cup draw in January 1968 being the only blemish. The Reds are averaging exactly three goals per game in the last six encounters with Bournemouth. Mo Salah has now scored more goals against Bournemouth than any player in the club’s history (five), with Roberto Firmino‘s three putting him in joint-second place. 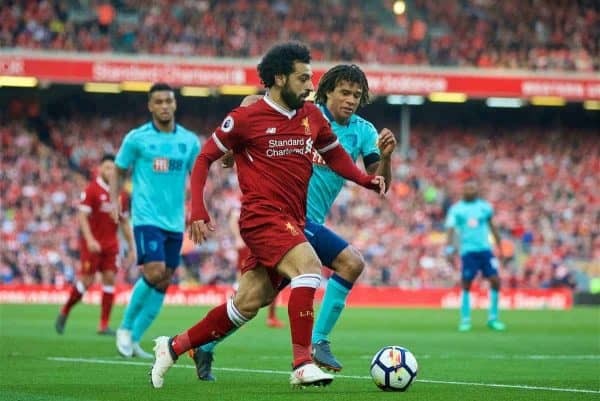 The Egyptian has found the net in all three of his Liverpool appearances against Eddie Howe’s men—the only Reds player ever to do so against the Cherries. 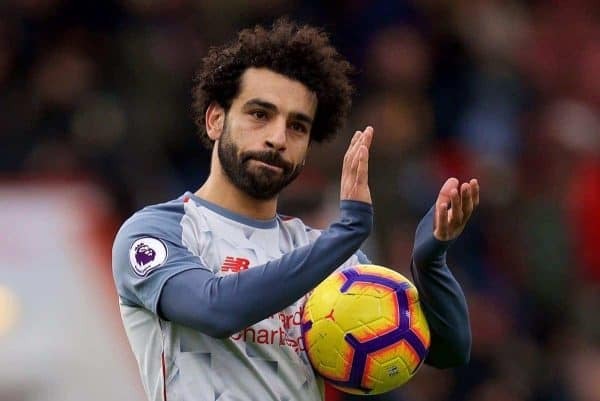 Salah’s next goal will see him become the first Liverpool player since Luis Suarez in 2013/14 to score 20 league and cup goals in successive seasons for the club. 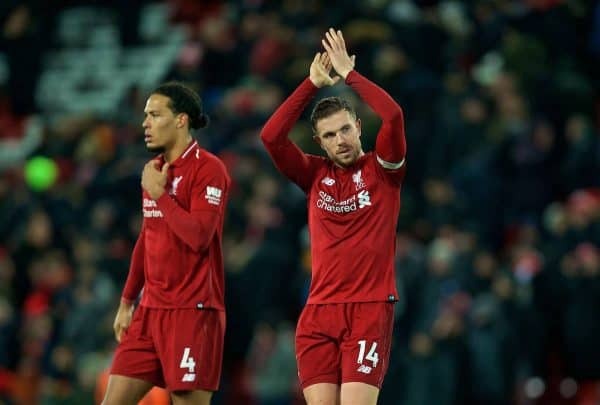 Liverpool have conceded at least once in each of the last three home league games, for the first time in just under a year. They have kept one clean sheet in their last seven games in league and cup. 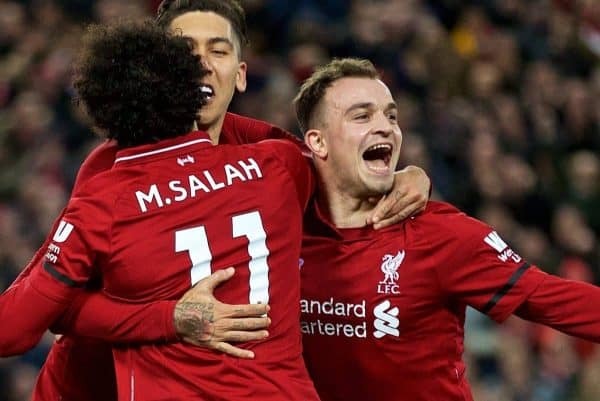 Mane (four), Roberto Firmino (five) and Mo Salah (four) have, between them, scored 13 league goals since Fabinho scored with an 85th-minute header against Newcastle on Boxing Day. 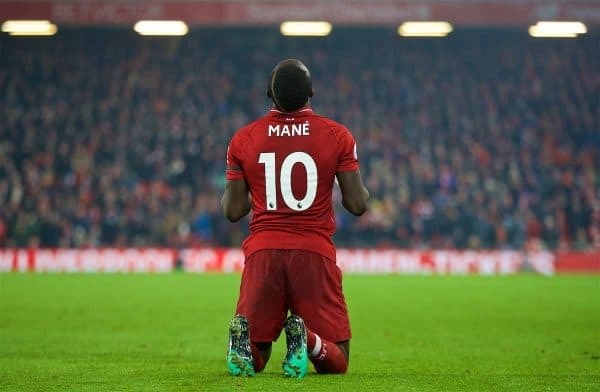 Mane has found the net in each of his last three league games. Never before has he found the net in four successive Premier League matches during his time in England. 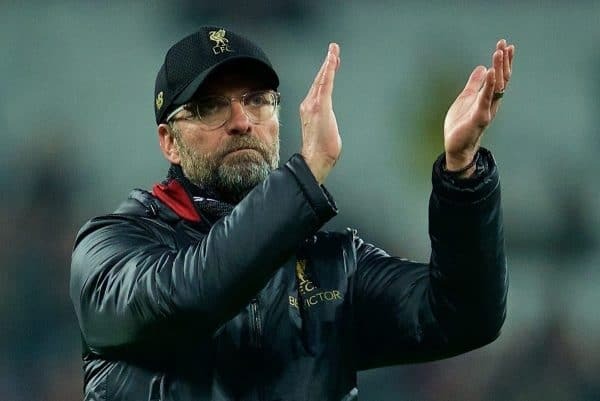 At this stage of last season Liverpool had 50 points. This campaign they have 62. After 25 games of this season, Man City were nine points worse off, while Tottenham are currently nine points better off than they were in 2017/18 with 13 games to go. 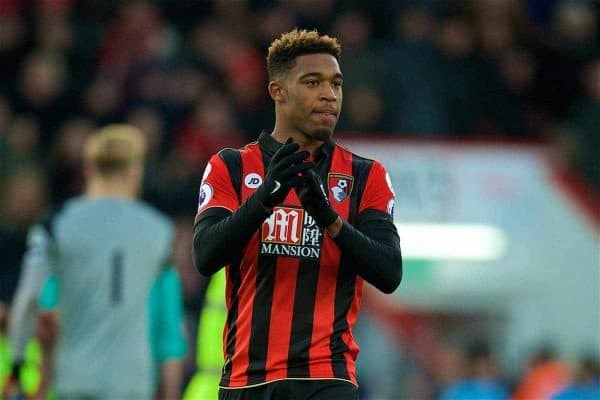 Jordon Ibe made 58 appearances for Liverpool during his time with the club. His debut came in the last game of the 2012/13 season and his last game was in the final match of the league campaign three years later when he scored at West Brom in a 1-1 draw. Last Saturday, Dominic Solanke made his Cherries debut after joining from Liverpool. It was the sixth Premier League start of his career.